Are you looking for an opportunity to get engaged with TeamWomen members, utilize your skills to help TeamWomen grow and/or enhance your leadership skills? We have several opportunities available for your consideration. Our committees are made up of a diverse group of professional women who help drive our membership, plan key events, act as ambassadors for TeamWomen and give their input for the long-term vision of the organization. Create and implement strategic plans to achieve membership objectives approved by the board. Establish, review, adapt, and adjust methods to increase membership in the most effective manner. Attend and work membership table at 2 events and one shift at the Leadership Conference. Make renewal phone calls to members one month of the calendar year. Serve as a table ambassador at a minimum of one event. Membership committee will meet six times each year on the months opposite the Board of Directors meetings. Assist with event logistics: social media, table ambassadors, welcome table presence. Create and execute content strategies including newsletters, marketing collateral, thought leadership, and Member and Sponsor Spotlights. 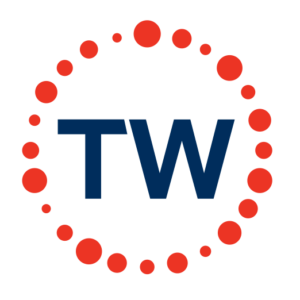 Market and manage engagement on the TeamWomen Connect (Member Forum). Assist with Membership outreach and retention initiatives. Ideate rebrand planning and execution. Marketing committee will meet six times each year on the months opposite the Board of Directors meetings. Assist in identifying potential sponsors and supporters. Participate in the solicitation of sponsors while motivating others to do the same. Encourage others in the community to attend the conference. Participate in the overall planning of the conference. All actions of the Leadership Conference Committee are subject to review by the Board of Directors. Create and implement board approved strategic plans to achieve fundraising objectives for the WaveMaker Awards. Establish, review, adapt, and adjust methods to solicit nominations, choose finalists and winners, and raise funds and awareness for the WaveMaker Awards in the most effective manner. Support, and where relevant, actively engage in, appropriate recognition of donors and finalists. Assist in identifying potential donors and supporters. Participate in the solicitation of gifts and cultivation of prospective donors. Motivate others to do the same. Encourage others in the community to understand and personally support TeamWomen’s fund-raising programs, particularly the WaveMaker Awards. Take a lead role in defining and promoting the concept of fund advancement and development, particularly as it relates to the WaveMaker Awards. Estimated 6 hours/year. Responsible for the bi-annual rollout event of mentor program held one evening in June and December. Estimated 20 hours a year for prep for mentoring group rollout including review of applications, meet with group to discuss assignments during May and November. Estimated 6 hours a year – Assist with coordinating details of mentoring group roll out in May and November. Estimated 1.5 hours/year. Various time throughout year – Assist with touching base with mentees/mentors, attending TeamWomen events, questions on program, quarterly mentoring committee meeting. These tasks are subject to change and split currently among 2-3 people. Most of the time is from mid-May – mid June and mid-November to mid-December centered on the bi-annual roll out of the mentoring programs. Assist in identifying a minimum of two community outreach events per year. Coordinate TeamWomen member registration and involvement with the corresponding charitable organizations. Support, and where relevant, actively engage in, appropriate recognition of outside charitable organizations. Encourage TeamWomen camaraderie through event attendance. Identify two young professional focused events per year. Promote the events via social media, networks, etc.